Citizens of Harlem might be hearing reports of a man with unbreakable skin over the next few months. Don’t be alarmed; that’s just Luke Cage, your friendly neighborhood Defender—the second season of the character’s Netflix show begins filming today. Luke Cage Season 1 was a huge hit for Netflix and Marvel Television, warranting a followup from showrunner Cheo Hodari Coker. With Mike Colter reprising the role, it looks like the series will pick up from the events of the Defenders and the first season. When we last saw him, Cage was being arrested after being framed for murdering a police officer and the crime lord known as Copperhead. But his friend at the barbershop happened to stumble upon the evidence that would exonerate him—not to mention Cage’s girlfriend Claire Temple has a certain skilled lawyer she can call on to help out. The character will next be featured in The Defenders, in which clips have revealed the character both inside and outside of prison, so we expect this situation to be mostly temporary. Alfie Woodard and Theo Rossi are expected to reprise their antagonistic roles. Also, Cage’s evil brother Diamondback is set to undergo the same procedure that gave the protagonist unbreakable skin and super strength, so we’re not expecting everything to work out for him in Season 2. The next Marvel/Netflix series premieres in August, featuring Cage teaming up with Jessica Jones, Iron Fist, Daredevil, and members of their supporting cast. We’ll learn how those events tie into Luke Cage and set up the second season of his solo series once it starts streaming. Expect more information about the series to be released as set photos and videos trickle out. Stay on the lookout and be sure to check out Defenders when it premieres August 18. Luke Cage Season 2 is rumored to premiere sometime in 2018. Marvel’s The Defenders is the miniseries that will bring together all of Marvel's Netflix stars, including Iron Fist (Finn Jones) Daredevil (Charlie Cox), Jessica Jones (Krysten Ritter), and Luke Cage (Mike Colter), to protect New York City from its greatest threat yet. 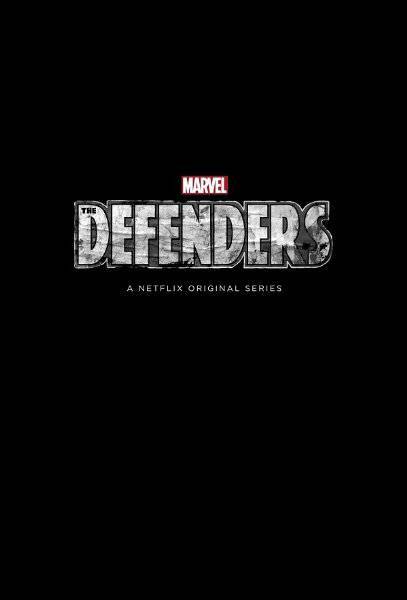 Marvel's The Defenders is developed by Douglas Petrie and Marco Ramirez. The miniseries will also feature Sigourney Weaver as the villain, Alexandra (Sigourney Weaver), and several recurring guest stars from Marvel's Daredevil, Marvel's Jessica Jones, Marvel's Luke Cage, and Marvel's Iron Fist, including Eka Darville as Malcolm Ducasse, Simone Missick as Misty Knight, Deborah Ann Woll as Karen Page, Elden Henson as Foggy Nelson, Carrie-Anne Moss as Jeri Hogarth, Scott Glenn as Stick, Rachael Taylor as Trish Walker, Rosario Dawson as Claire Temple, and Jessica Henwick as Colleen Wing.